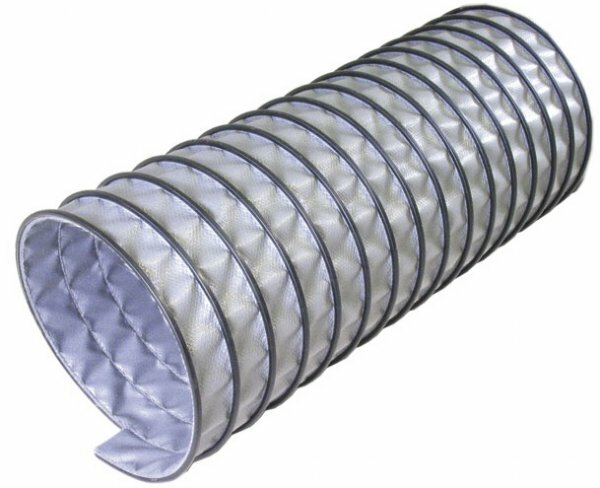 The combination of standard external helix as a scuff guard and a non-glue construction results in the industry standard high-temperature hose. Not recommended for diesel applications. 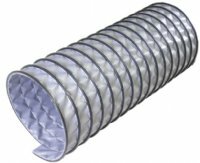 A negative pressure fan system with ambient air inlet is recommended to maximize effectiveness and life of duct. It is important to size the duct diameter according to the exhaust output. Construction: Mechanical bond, corrosion resistant helix. Temperature range: -65°F to +500°F intermittent.